24: The Game is set between seasons two and three and provides the answers to many unanswered questions: who was really behind the assassination attempt on President Palmer? How did Kim Bauer get a job in the L.A. CTU? How did Jack Bauer and Chase Edmunds first start working together? The game has jaw-dropping revelations for '24' fans and thrilling, non-stop time-pressure gameplay. 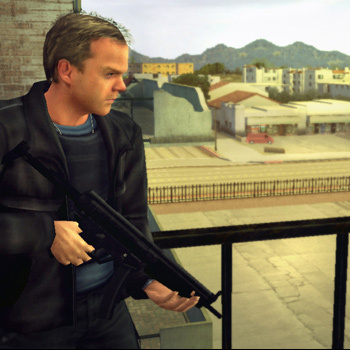 24: The Game has multiple character plots and strands and over 100 missions covering multiple genres of game-play including: on-foot sections with shooting, stealth, puzzles and sniping; driving challenges varying from stealthy tailing to high-speed pursuits; interrogations where you have to coerce information out of suspects and gadget sections including decoding information and examining satellite images.